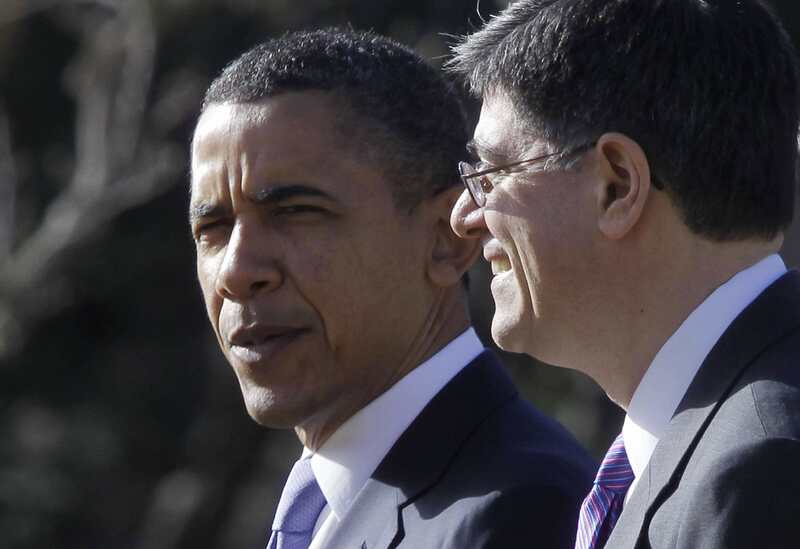 President Obama will announce the nomination of Jack Lew to be the next treasury secretary today at 1:30 p.m. ET at the White House. "Jack Lew will bring an impressive record of service in both the public and private sectors for over three decades and economic expertise to this important role, and his deep knowledge of domestic and international economic issues will enable him to take on the challenges facing our economy at home and abroad on day one," a White House official said in a statement. "Throughout his career, Jack Lew has proven a successful and effective advocate for middle class families who can build bipartisan consensus to implement proven economic policies." If confirmed, Lew will replace Treasury Secretary Timothy Geithner, who is expected to step down next month. Lew is Mr. Obama's current chief of staff but has served in numerous government roles. Prior to his current post, which has given him direct access to the president, the 57-year-old was the director of the Office of Management and Budget. In that position he worked closely with Congress and federal agencies to oversee the budget of the entire federal government. That is a position he also held during the Clinton administration from 1998 to 2001. In the 1980s he was a senior adviser for former House Speaker Thomas "Tip" O'Neill, D-Mass., and worked with former President Reagan's White House on Social Security reform and tax reform. And betwen his Clinton and Obama administration stints, he worked in the private sector, including three years as a hedge fund manager for Citigroup. Lew would come into the position amid a sluggish economic recovery and as Washington politicians are facing more budget battles. By mid-February, Congress is likely to be embroiled in debate over spending and increasing the debt ceiling. Geithner notified Congress on December 31 that the debt limit had been reached and that he was taking "extraordinary measures" that involved rearranging the books so that immediate bills could be paid while putting others off. A source told CBS News chief White House correspondent Major Garrett that the White House doesn't expect a difficult confirmation process. However, Senate Budget Committee ranking member Sen. Jeff Sessions, R-Miss., spoke out strongly against Lew's nomination, citing remarks Lew made in 2011 saying the president's budget would not add to the national debt. "Jack Lew must never be Secretary of Treasury. His testimony before the Senate Budget Committee less than two years ago was so outrageous and false that it alone disqualifies (him)," Sessions said in a statement on Wednesday.